Weatherstripping is an inexpensive part that can prevent future costly problems on your Jeep. Air and moisture can damage your interior and electrical components if gaps between the windshield and window frame are left unrepaired. JustforJeeps.com has WK windshield weatherstrip in stock to help you shore up the seal between window and frame. This Mopar part, item #55394511AB, is manufactured using OEM specifications and is designed for installation on Grand Cherokees from model years 2005 - 2010. 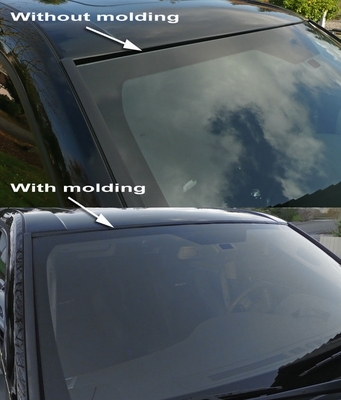 This weatherstripping is easy to install and since it is made for the Grand Cherokee, it is sized perfectly so no modifications are required.